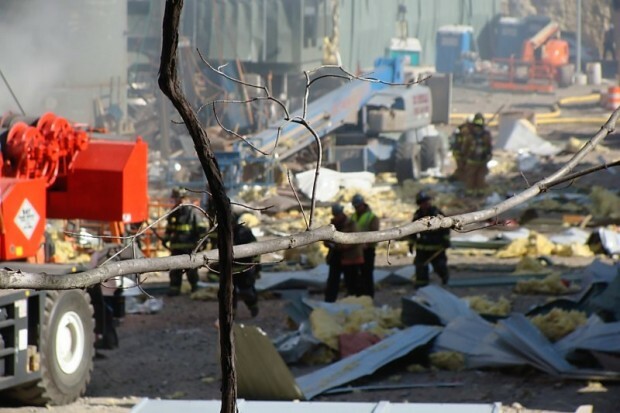 The names of the five victims of Sunday's devastating explosion have been identified. Peter Chepulis, 48, of Thomaston, Ronald Crabb, a 42-year-old father of two from Colchester, Raymond Dobratz, of Old Saybrook, Roy Rushton of Hamilton, Ontario, Canada and Chris Walters of Florissant, Missouri were killed. Chepulis, Dobratz and Walters were all employed by Keystone Construction, a Rowley, Mass., based subcontractor for Torrington based O&G Construction. "The Keystone family is devastated by this tragic loss, but grief cannot compare to the impact on the families of the deceased employees. Our heartfelt thoughts and prayers are with those families as well as our employees recovering from their injuries and their families. We are fully cooperating with authorities as they attempt to determine what caused this terrible situation," said Nancy Sterling, Keystone spokesperson. Crabb, a 42-year-old father of two from Colchester, served on the town’s board of finance and decided not to see re-election in October to spend more time with his family, a board member said. He was general foreman on the construction project’s instrumentation his brother, Carl Crabb, of Illinois, also a pipefitter, told the Illinois newspaper, the News Tribune. Crews raced to the scene just after the explosion happened at the Middletown power plant. "His contributions to our community were great and this terrible loss will be felt by many who had the privilege of knowing and working with him, department officials said in a news release," Spera said. On Monday morning, members of the union went to the site to pay their respects. "People are pretty upset. Personally I lost a real close friend and a great family man and I'm going to miss him," said Tom Alferi. The employees say it's more than losing a co-worker. They considered those who died in the explosion as friends. "For me, I've been working industrial jobs like this for 30 years and this is the first time that something like this has hit me that closely. Very upset.," said Alferi. The United Association Local 777 Plumbers and Pipefitters union plans to hold a special meeting for union members tonight about the tragedy. "We all did everything as safe as we could, all the time. We know our job is dangerous, I just feel bad for the families," said David Church. On Monday, some of the workers returned to River Road to support all the Kleen Energy employees and gather a little more information about what caused the deadly blast. "We've experienced other tragedies before, but not on a personal level like this, so it hits home pretty hard," said Alferi. 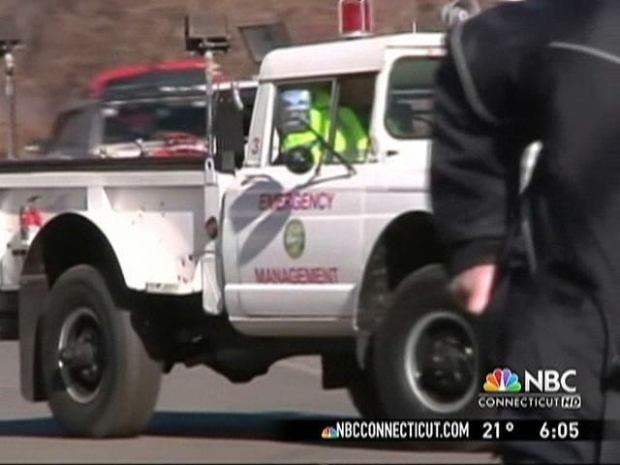 A flame-burning device was left on and likely caused the explosion, sources told NBC Connecticut. Twenty-seven people were taken to hospitals for injuries sustained in the blast when they were thrown, some as many as 30 to 40 feet. Victims suffered broken bones, abdominal and chest wall injuries, as well as injuries to extremities. One patient was transferred to Hartford Hospital, one was taken to Yale-New Haven and three are still admitted at Middlesex. The 22 other people were evaluated, treated and released. 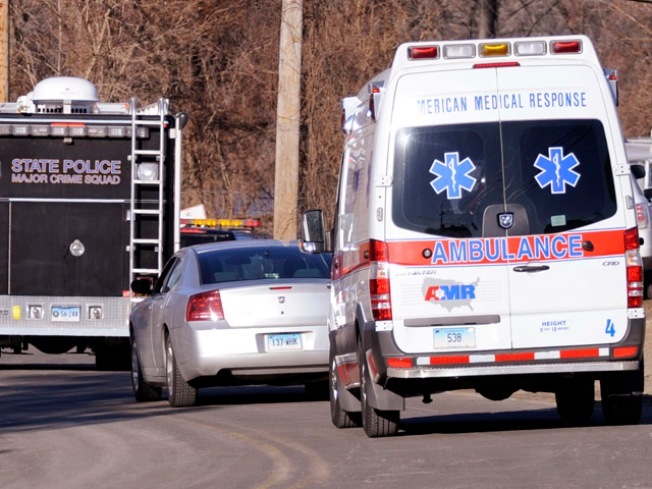 Yale-New Haven Hospital said the patient there is in good condition and has broken bones. Lynn Hawley, of Hartland, Conn., said her 36-year-old son, Brian Hawley, is a pipefitter at the plant and broke his leg. She said he called her from his cell phone to say he was being rushed to a hospital. "He really couldn't say what happened to him," she said. "He was in a lot of pain, and they got him into surgery as quickly as possible." Paul Gaskins, 49, of Holly Ridge, North Carolina, was badly bruised after being thrown about 40 feet by the force of the explosion. His wife Anna said he was on the percussion side of the blast. Gaskins and his brother are co-owners of Contact Technical Services. They were both doing contract work at the Kleen Energy Systems, however, Gaskins' brother was not on-site at the time of the blast. Gaskins is expected to be released from the hospital tomorrow and will return home to North Carolina where he will be on bed rest. Anyone wishing to express their condolences to the victims' families can post them online, a guest book has been set up on Legacy.com.